The WUNCPolitics Podcast is a free-flowing discussion of what we're hearing in the back hallways of the General Assembly and on the campaign trail across North Carolina. Subscribe with Google play, Stitcher, iTunes or subscribe now with your favorite podcatcher. North Carolina politics is the focus of a federal investigation into corruption. Four men, including the chair of the state Republican Party, were arrested this week for conspiring to bribe the state insurance commissioner. North Carolina's congressional maps are partisan gerrymanders, but does that make them illegal? Marcia Morey is a two-term House lawmaker from Durham County. The Democrat is a former judge, Olympian, and NCAA investigator. David Lewis is one of the most influential lawmakers at the North Carolina General Assembly. The nine-term Republican and House Rules chair from Harnett County joins the podcast to discuss a range of topics. Rep. Lewis talks with Capitol Bureau Chief Jeff Tiberii about the latest appointment to the judiciary (starting at 2:57), redistricting (13:00), learning to live with a speech impediment (30:05) and the political middle (38:37). Joining Jeff Tiberii on the politics podcast this week are Rob Schofield of the N.C. Justice Center and Becki Gray of the John Locke Foundation. Mark Meadows, special congressional elections, and hands-free driving are all fair game on this week's podcast. Congressman David Price returns to the podcast to discuss some of what is playing out in the political landscape. He discussed a range of topics in front of a studio audience in Chapel Hill, on Thursday. Price weighed in on election fraud, his late friend Walter Jones, while also answering a myriad of questions from constituents. Chuck McGrady sits down for a conversation about some of the notable legislation he is pursuing this year at the North Carolina General Assembly. The Republican state representative from Henderson County has introduced a bill to establish independent redistricting, wants to change ABC regulations, and continues to have an eye on environmental issues. McGrady also discusses his time leading a summer camp and his friendship with Congressman John Lewis. NPR Political Correspondent Don Gonyea is already on the 2020 campaign trail. This week he was in Iowa to watch the State of The Union and hear reaction from prospective voters. He joins the WUNCPolitics Podcast this week to discuss the Midwest, a new slot on the election calendar for California, and Tiny Desk Concerts. A new legislature was sworn in this week and there are plenty of new elected officials. A total of 38 legislators are new to their posts and two of them join this week's podcast. Jim Burgin (H-Harnett) and Julie Von Haefen (D-Wake) join WUNC Capitol Bureau Chief Jeff Tiberii to offer lessons learned on the campaign trail, reactions from the ceremonial swearing in, and share some of what they hope to accomplish in the new biennium. Rob Christensen has reported on, written about, and observed North Carolina politics for 45 years. The longtime journalist is retiring from the News & Observer this month. He joins this edition of the WUNCPolitics Podcast to reflect on country stores, flying in small planes, and an occasionally contentious relationship with Jesse Helms. 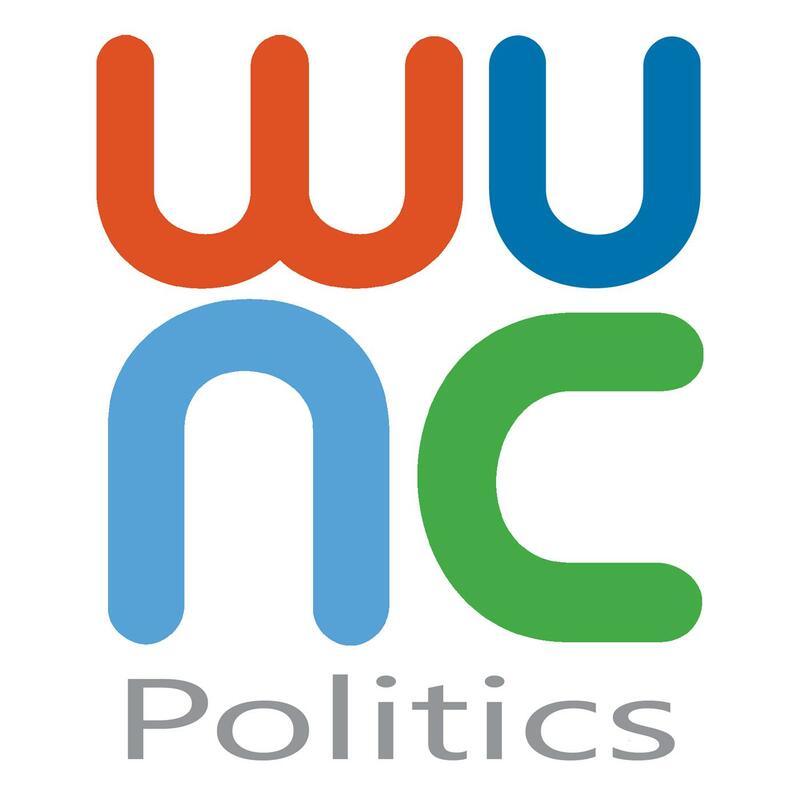 WUNC Data Reporter Jason de Bruyn joins this edition of the WUNCPolitics podcast. Among the topics discussed are an on-going investigation into alleged election fraud in the 9th Congressional District, as well as major job expansion announcement that left North Carolina leaders disappointed. North Carolina is again drawing the attention of the country for a rare political story. Alleged election fraud in Bladen and Robeson Counties has led to an investigation by state officials, and members of Congress stating a new election may be possible. Kirk Ross, who has been writing about the developing 9th Congressional story for the Washington Post, joins this week's podcast to discuss his reporting, and what we know about a fluid situation. There was plenty of North Carolina political news in Raleigh, and points beyond this week. Lauren Horsch of the NC Insider discusses legislative efforts to pass voter ID legislation, the divide over economic incentives, as well as the surprising stall of a nominee to the federal bench. Horsch is also quizzed on her knowledge of Durham (spoiler: she knows the Bull City well). The 2018 midterm election is complete, and Jonathan Kappler provides a debrief on this episode of the podcast. WUNCPolitics Podcast: An In-Depth Look At NC's "Right Turn"
This week's WUNCPolitics Podcast takes a deep dive into a topic that's a decade in the making. “Right Turn” is a documentary-style podcast using archival interviews and conversations with key players to tell the story of the rise of the Republican Party this decade. Former North Carolina Supreme Court Associate Justice Bob Orr is the guest on this week's episode of the WUNCPolitics Podcast. Orr talks about judicial races on the midterm ballot, his continued frustrations with President Donald Trump, the chances he'll still be a Republican in 2020, and the verdict from a federal corruption trial that concluded this week. As Florence recovery marches on across portions of North Carolina, Governor Roy Cooper calls on the Legislature to appropriate a $750 million down payment. His request came the same week as a new report out from the United Nations on the short-term effects of climate change. State lawmakers were civil and efficient during a one-day special session, when they approved the first steps of relief for victims of Florence. Meanwhile, a major political donor is under federal investigation, community leaders are discussing long-term plans for aging water and sewer systems, and guest Colin Campbell shares a new approach to improving discourse on Twitter. Testimony about sexual harassment on Capitol Hill, new campaign ads in competitive Congressional races, and the most Gerrymandered maps in the country. Chris Cooper, Professor and head of the Department of Political science and Public Affairs at Western Carolina University, returns to the WUNCPolitics podcast to weigh-in on the mid-terms and the GOP's defense of state supermajorities. North Carolinians are likely to feel the impacts of Hurricane Florence for years to come. On this episode of the WUNCPolitics Podcast, WUNC Capitol Bureau Chief Jeff Tiberii talks with Charlotte Observer Reporter Jim Morrill about the influence the storm has already had on political advertisements. Also, praise of storm prepartaion that crossed partisan lines and the story of an out-of-place smell. Colleges campuses are again bustling and that means more young adults seeking mental health services. Taylor Knopf, a reporter with NC Health News, joins WUNC Capitol Bureau Chief Jeff Tiberii to discuss the increasing demand on campus, as well as efforts to try to improve upon infant mortality rates and childhood poverty in the state. Since 1990, North Carolina's population has grown by more than 3.5 million residents. Rebecca Tippett, founding director of Carolina Demography at the Carolina Population Center at UNC-Chapel Hill, discusses where the bulk of that growth can be found, the varying needs that follow, and how we simply consider populations may change 30 years from now. To read more about Tippett, and her colleague's research, visit their blog. It was a neck-straining Tuesday in the world of politics. Among the headlines were convictions for two of the president's closest confidants, a panel of judges ruling to block two North Carolina ballot questions, and more fervent debate over confederate monuments. Lawsuits challenging proposed changes to the state constitution, forecasts that show one North Carolina Congressional race in a dead heat, and former governors convening to assail state lawmakers. Even with the General Assembly and U.S. Congress out of session, plenty played out in the political world this week. This year's session at the General Assembly felt, at times, like a blur. WRAL Capitol Bureau Chief Laura Leslie joins the podcast to discuss the pace of the Legislature, some of the most significant measures, and how policy may influence the already underway election season. Leslie, who worked at WUNC from 2004 until 2011, also weighs in on the departure of a key legislative staffer and shares what she misses most about public radio. Editor's Note: The WUNCPolitics Podcast will take a break for the rest of July and will be back in early August. WUNC Capitol Bureau Chief Jeff Tiberii talks with WRAL Capitol Bureau Chief Laura Leslie about the latest political news in the latest episode of the WUNCPolitics Podcast.